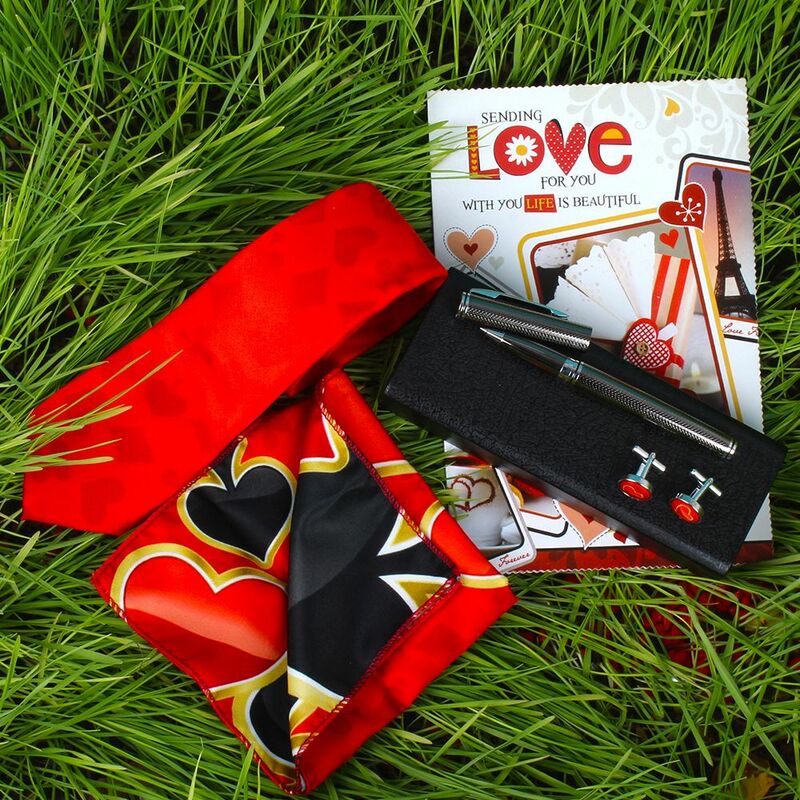 Product Consists : Polyester Digital Poker Print Tie, Cufflinks and Handkerchief, Silver Ball Pen along with Love Greeting Card. 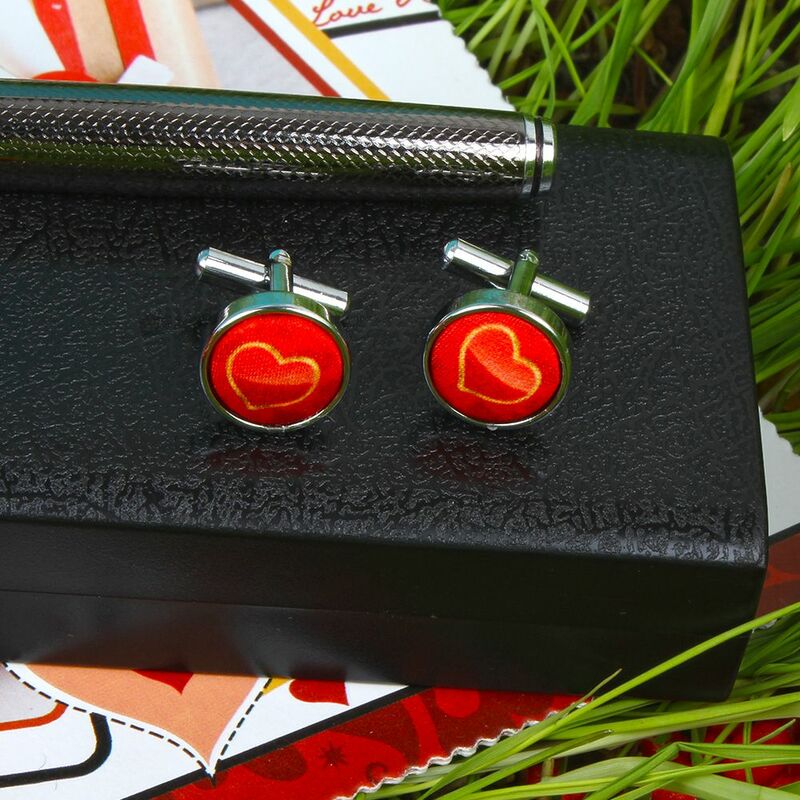 Enjoy the love day with special gift like Polyester Digital Poker Print Tie Cufflinks and Handkerchief with Silver Pen and Love Greeting Card full of joy and romance, for sure your lovers will say thanks to you for creating such a beautiful moments for him. 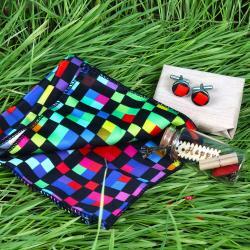 It is a versatile casual love gift which can be gifted in any season without any doubt. 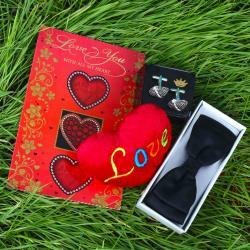 Say Happy Valentine's day and if it is your first Valentine then you are much excited to be with your LOVE deliver this beautiful gift So he can be proud to be your Valentine. 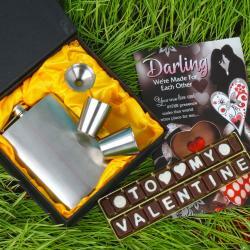 Make your dear men feel special by sending this perfect gift combo to him on any special occasion Like If you are looking for some exotic Valentine's Hampers for your dear ones, friends and family, then head to Giftacrossindia.com the largest variety gifting store of India for occasions like Browse your favorite products, it is very conveniently available for online shopping from anywhere in India with Free Shipping. 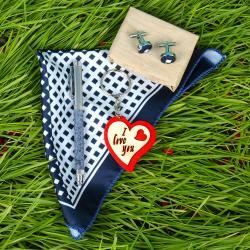 Product Includes : Polyester Digital Poker Print Tie, Cufflinks and Handkerchief, Silver Ball Pen along with Love Greeting Card.